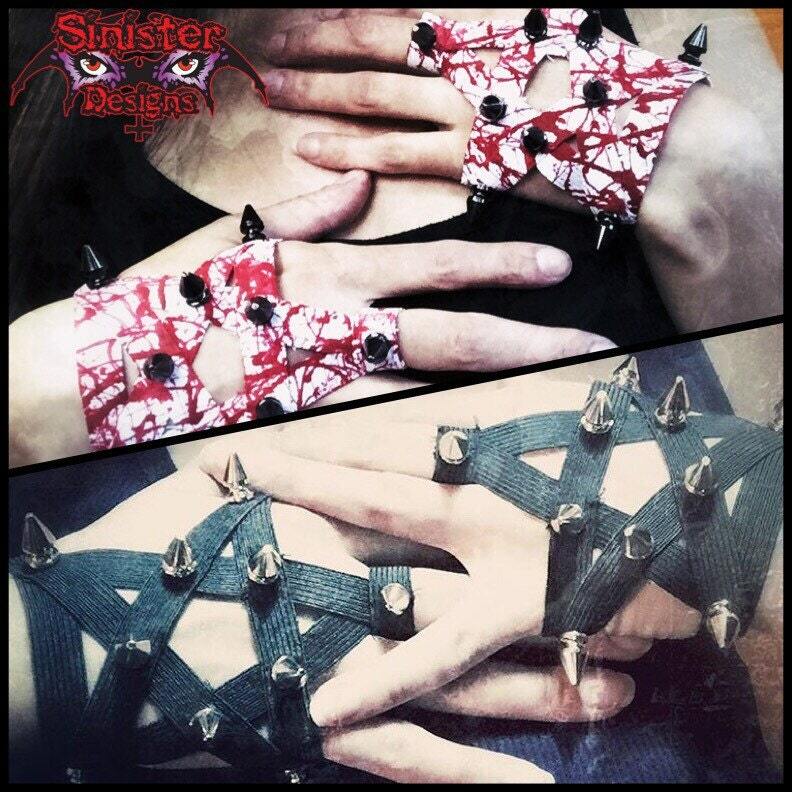 This pair of spiked pentagram gloves is a must have for any metal chick! 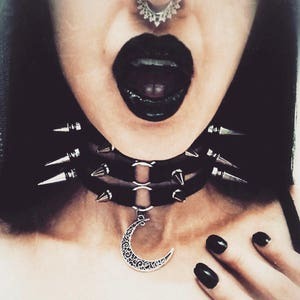 Great to wear to metal shows! The black gloves are made with silver spikes and the blood splatter gloves are made with black spikes.